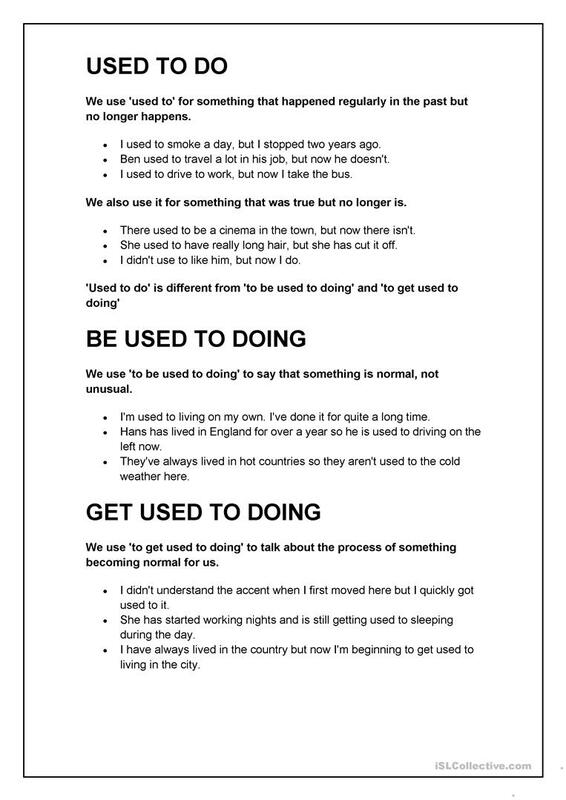 This worksheet helps students learn how to properly use "used to" in all common forms. It also provides an in-depth activity that can be used as pairwork to practice using this type of grammar. 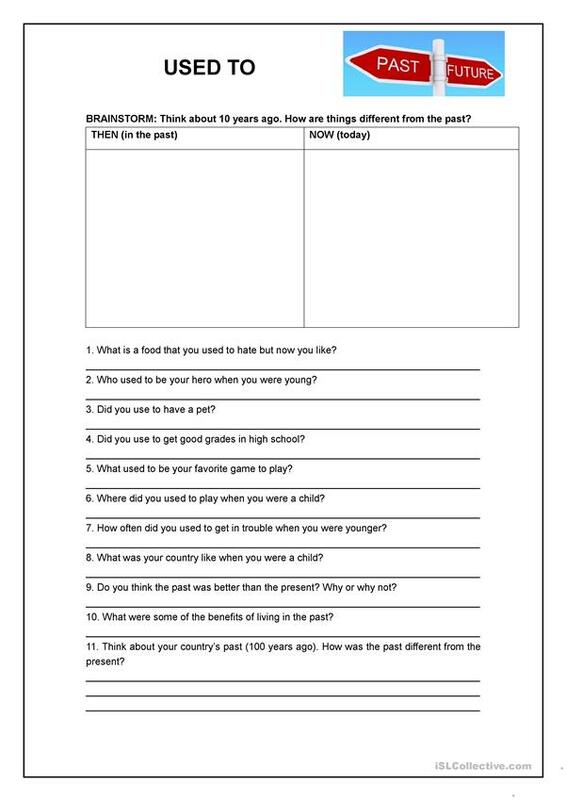 The present downloadable printable is intended for business/professional students, high school students and adults at Pre-intermediate (A2), Intermediate (B1), Upper-intermediate (B2), Advanced (C1) and Proficient (C2) level. It is a useful material for practising Past tense expressed with USED TO in English, and can be used for developing your learners' Speaking and Writing skills.